Who’s hosting Super Bowl this year? We picked up the bulk of the decor from Home Depot of all places! 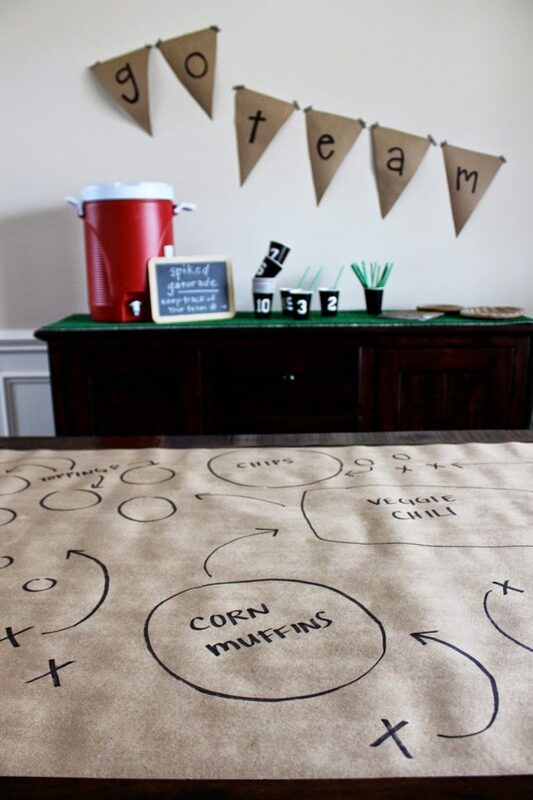 This post is not sponsored… I literally walked in and happened to find most of what we needed for the party there! Who knew? 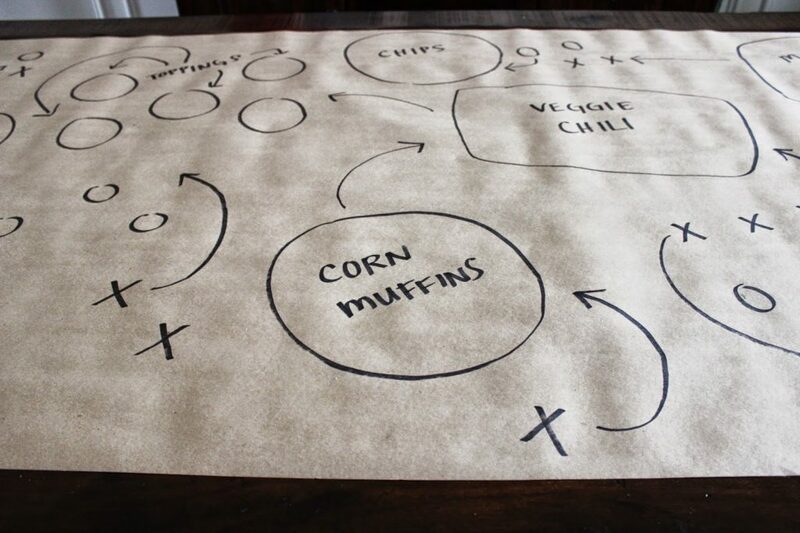 We are talking SIMPLE, people. Simple with a big impact! 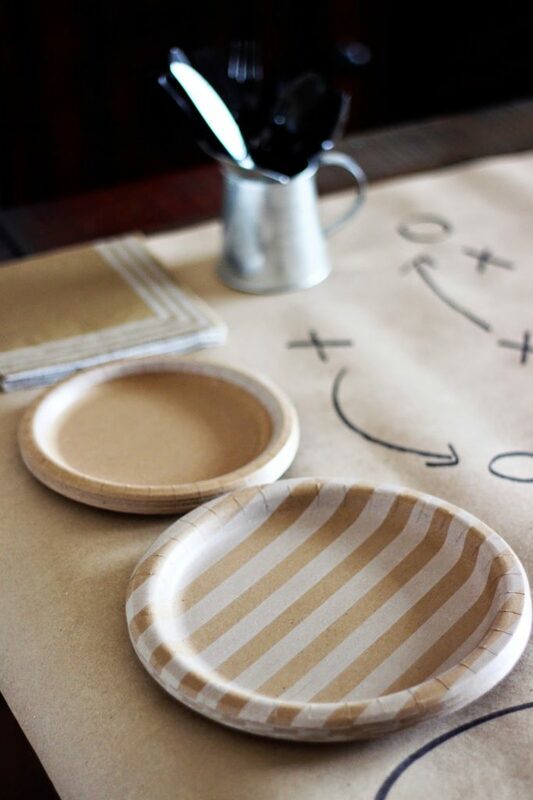 The table runner is astroturf carpet from Home Depot! They just cut me a strip of 1′ x 12′ for around $6. The dude was like, “well that’s a first for me”! 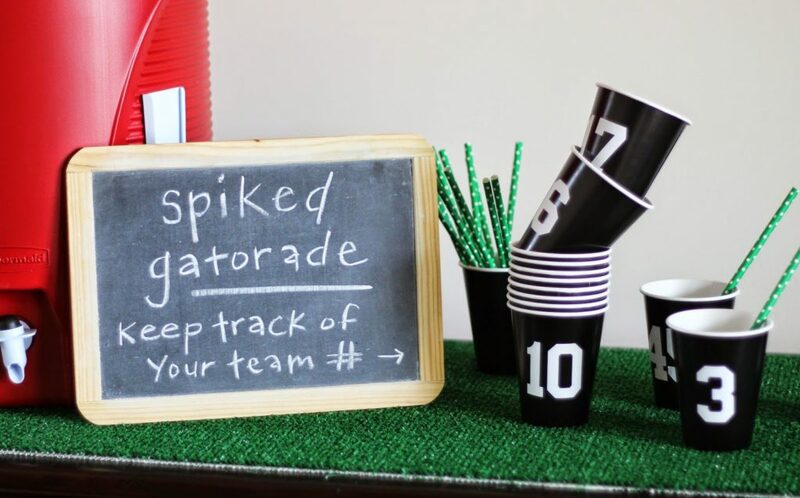 I thought it would be fun to put a signature drink inside a Gatorade cooler like in a real game. 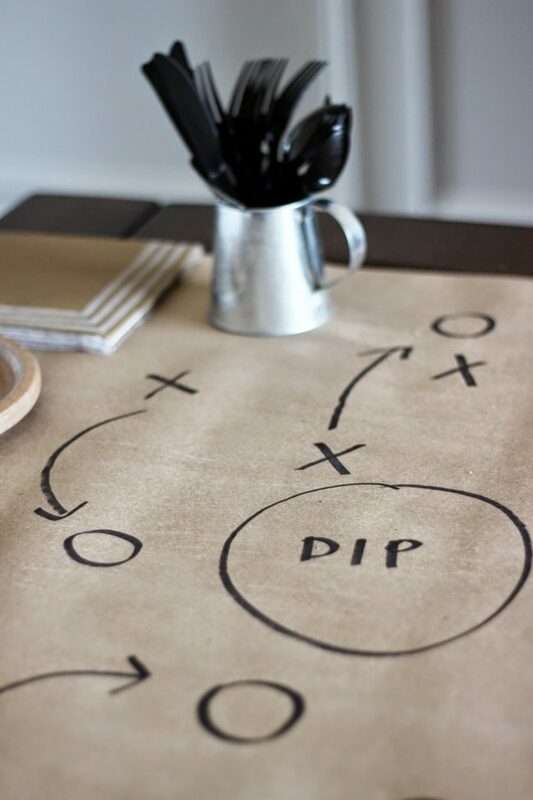 For the table decor, it’s just butcher paper (again, got a huge roll from Home Depot) and drew x’s and o’s with a Sharpie… my husband had to tell me what those meant. You know when you have a ton of people over, they sit their cups down and don’t know which is which? 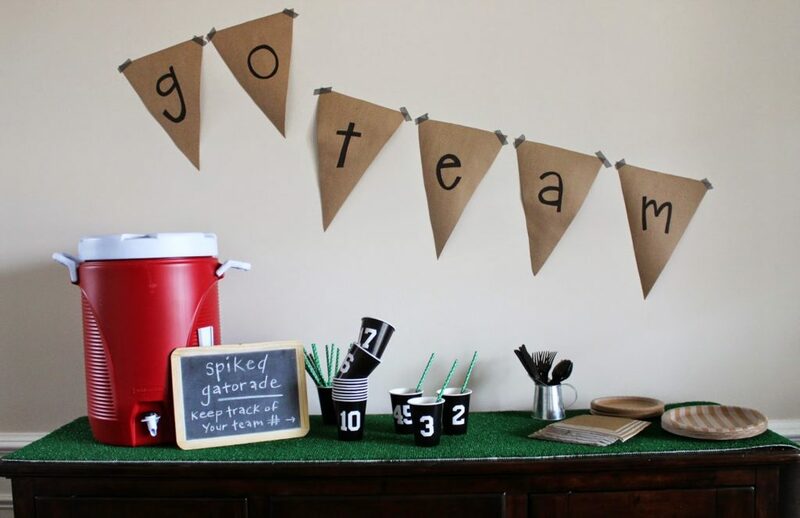 Instead of writing names, have each guest have their own “jersey number”. I used my silhouette and label paper only so I didn’t have to take a trip to the craft store, but most stores have those sticker numbers you could put on the cups. 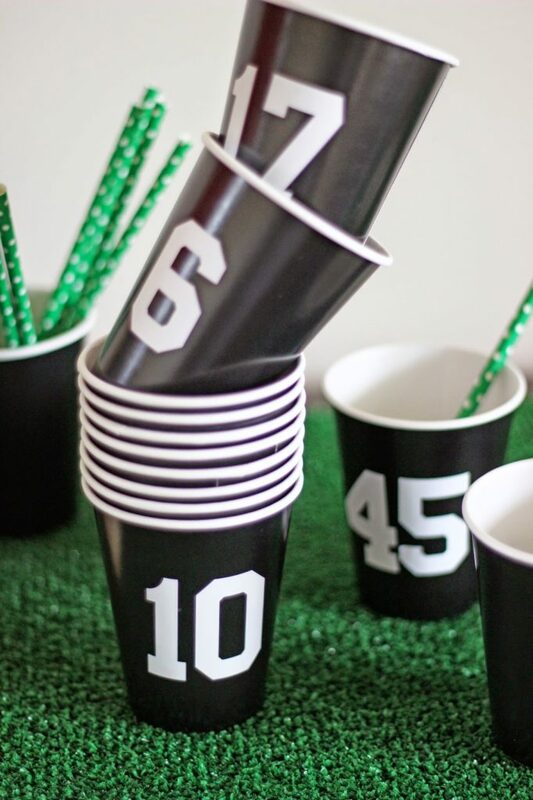 If you’re rooting for a team, get cups in your team’s colors and use real player jersey numbers! 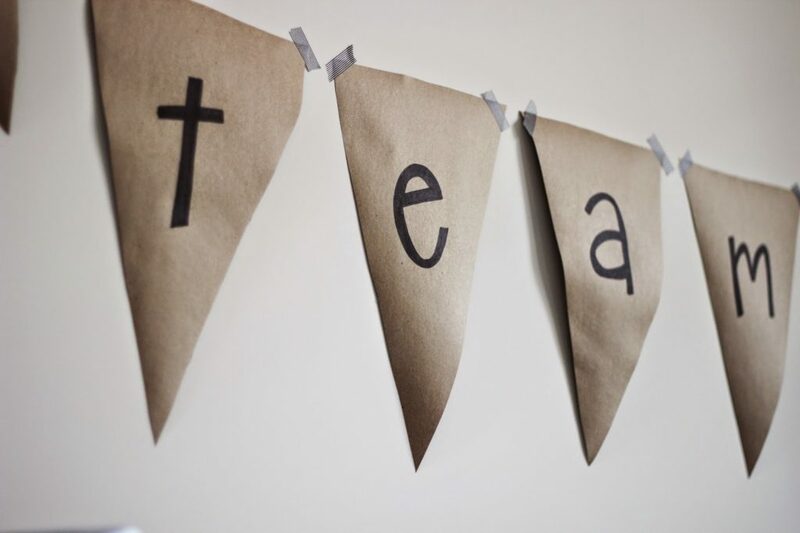 Pennant banner is just cut out of the same butcher paper roll and handwritten with a Sharpie, taped up with washi tape. Perfect plates from Target! 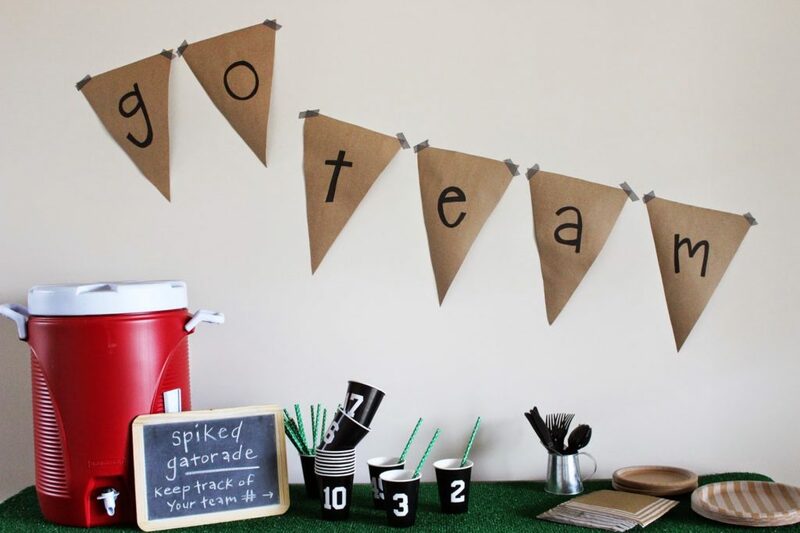 No need to get football themed everything. Good luck, hostesses with the mostesses! Gooooo team!